Aim High has a range of publications and websites targeting both consumers and trade/architects/specifiers. Our objective has been to provide marketers with a menu of channels hitting different points of a building project stretching from the moment a consumer decides to start building, through the design process and then on to construction and wrap up. We primarily target consumers who are actually building – both new and renovations and by providing them with unique, relevant useful information around building, we draw them in. Our secondary target is building professionals – builders, architects/designers and LBPs. We don’t do demographics – we do psychographics and ‘common interests’: consumers who build houses come from all levels of income and age groups but they all have things in common – an almost complete lack of knowledge of the complexities and processes and product choices around residential construction. As a result, we’re less interested in how many readers we have, but in who is reading. Our philosophy is ‘only pay to reach people in the market’ – why should you pay to reach people sitting at home reading recipes and having coffee who aren’t actually doing anything? We aim to hit them while they are in a position of deciding on the products they will be using for their build, so we provide an ideal and distinctive series of channels to put your marketing messages in front of people actually buying stuff. While there is crossover in readerships, the various publications have clear audiences based on content. And we can show great numbers, too. If you’re on this reasonably small list of brands, you’re already in the consideration platform and this fundamental point goes to the importance of maintaining brand advertising (and this is where the importance of magazine and television impacts). Increasingly, however, the next step is “Active Evaluation” where research is done to discover additional brands as potentially better options out there. This is where our Building Guide and Design Guide websites and magazines hit the consumers – right when they’re deciding on products for their home. Consumers then have the option of buying that brand with no research (highlighting the importance of maintaining your brand out there) or researching alternatives – and where do you go for that? Either the internet or reputable sources – in the case of building products: your designer, your builder… or the Building Guide and the Design Guide. Finally, at the Stage of Purchase, many people have not finally decided on the brand they’re about to buy until they’re in store (figuratively in the case of many building products). Again, this is where the power of brand equity shines through. The ‘loyalty loop’ even though it has evolved into two loops, ensures a greater likelihood of buying a particular brand at that time due to a pre-exposure to that brand! Aim High magazines and websites provide almost a 100% market penetration, especially to those consumers who are active participants in their build and who are seeking hard information and advice for their project. No one else does what we do. And we don’t do recipes. The Building Guide website is now getting around 23,000 kiwi visitors per month (and growing), with 5500 return visits per month. We’ve seen growth in visitor numbers to the site of 30% this year alone. This Return Visitor number roughly equates to the total new build and renovation consents issued each month, so we have a very high market penetration. The only reason anyone comes back to the site is because they are building – there are no recipes on the Building Guide site. 4500 people visit the product directory each month. 2017 numbers are running more than 50% above the same time 2016. Our visitors are people actively pursuing information and products for their building project. 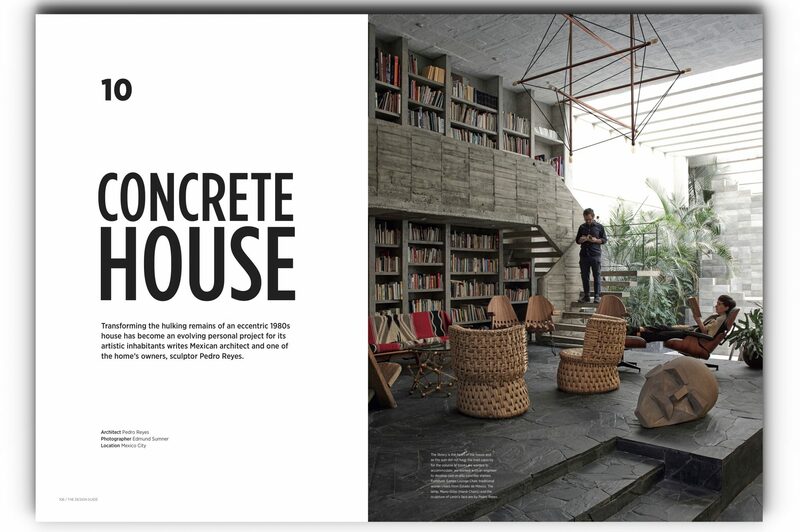 Showcasing curated case studies of great architecture with accompanying text from the architects themselves. Stories from past issues of the magazine go up, together with articles that didn’t fit with the publishing schedule. Still small site traffic – just 1900 per month but we’re set to grow this through better optimisation and the addition of a guide to designer stores. Specifically targeted to consumers who are building new and renovating, the Building Guide is the only media channel distributed via Building Control Authorities (councils) to consumers who are undertaking building projects. It is also distributed via the Home Ideas Centres, Certified/Master and Licensed builders, architects/designers, via retail outlets and from our website. There are approximately 45,000 copies distributed across seven regions, nine times per year (Auckland and Canterbury have two issues per year). There are currently around 18,000 detached dwellings consented per annum and around the same number of renovation consents so we effectively cover the market and we are receiving requests from councils for more copies this year in many regions as demand picks up. Yiju has been published twice per year and is moving to three times per year for 2017. Using a combination of material from Building Guide, The Design Guide and commissioned works around property investment, Yiju is the only publication in New Zealand specifically targeting the Chinese market. Distributed directly annually to our database of 5000 Certified and Master Builders (both organisations supply us with updated lists of their full databases for each issue) and made available to a further 8000 Licensed Building Practitioners who attend the Building Hub seminar roadshow and rvia equested mailouts. Our association with the Building Hub (we are their ‘Official Publication’) means we also have an online presence to their 11,000 members and additional 15,000 visitors per month. BoB’s editorial stance is one of independence and boldness and often irreverence – we are the Builders’ Guide. We include a ‘Builders’ Forum’ in each issue, with builders on the tools discussing the issues of their lives and sharing ideas and tips which also provides an opportunity for trialing product and getting immediate feedback, too. Our Design Guide page now has almost 4000 followers and is growing daily. We have taken an organic growth approach and not given away product to increase our followers. As a result, we have an audience genuinely interested in architecture and architectural products. We showcase stunning architecture from our DG websites, magazines and from other websites we source and curate. The Building Guide page is now over 1400 followers and has a more technical, prosaic content strategy. We’re about helpful content, not pretty pictures. We’ve done low-cost boosted posts pointing back to our websites and FB pages and have tested product promotions (unpaid) with limited results – some interest, no firm response. We expect this to develop. Our Design Guide page is approaching 350 followers. We have taken an organic growth approach and not given away product to increase our followers. As a result we have an audience genuinely engaged. We’re about to review our Pinterest activity with a view to expanding it dramatically. We’re expecting great things from our Instagram account. This is tailor-made for The Design Guide and already we have over 16,500 followers and building.